It’s summer. Time for rising temperatures, long vacations and, for many families across the United States, relocation to a new home. If relocating to a different state is in your summer plans, do you know how to effectively make the move? Just as “location, location, location” is the battle cry for real estate moguls, “licensure, licensure, licensure” is the bottom line for counselors. If relocation is prompted by your own career move, then it’s likely that you already know where you stand in regard to licensure in your new location. But if you are the trailing partner in a job transition, the first item on your professional to-do list should be to contact the state licensure authority to begin the process of establishing a license to practice. In most states, professional counselors are licensed by a state board of professional licensure (which may have other names), while school counselors are governed by the state board of education. The American Counseling Association has developed some helpful publications that sort out the requirements for licensure: Licensure Requirements for Professional Counselors: A State-by-State Report and A Guide to State Laws and Regulations on Professional School Counseling. Both are available for a nominal fee through ACA’s publications department. In addition, much of this information is available on ACA’s website at www.counseling.org/Counselors/LicensureAndCert.aspx. If you’re moving to a state that requires more classroom or supervision hours for licensure than you have earned, you’ll need to make up the difference. The state licensure authority should have a list of approved supervisors available on request (a fee may be charged), and you can access a directory of accredited programs at the CACREP website (www.cacrep.org) for the additional coursework you need to complete. 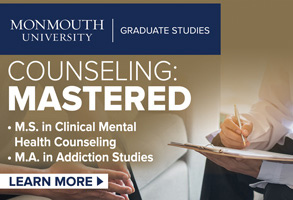 Note: Completing a 60-semester-hour CACREP-accredited program in mental health counseling would satisfy the current academic requirements in most states that have licensure. The Substance Abuse and Mental Health Services Administration has a website (http://mentalhealth.samhsa.gov) that is useful as a sourcing tool for counseling positions. In the top right-hand column of SAMHSA’s home page, click on the box titled “Services Locator” (look for the map of the United States). This takes you to the “Mental Health Services Locator,” which provides a pop-up list of all U.S. states and territories. Select a state or territory, and you will receive a list of mental health resources for your selection: lists of mental health facilities, a directory of mental health services, a state resource guide, suicide prevention programs … in short, a directory of agencies and private practices that provide mental health services. That list may be sorted by city. So, let’s say you have just moved to Phoenix. You can click on Arizona, choose Phoenix, then scroll through five pages of mental health care providers in that city. Arm yourself with a map (or knowledge of the local geography), and you can augment your list with providers in surrounding communities. This is the beginning of a prospect list. While it may not be comprehensive, if you combine these findings with those in the Yellow Pages, United Way agency listings and local chamber of commerce directory, it’s a good start for tapping into the mental health community of a specific geographic area. Ladies and gentlemen, start your networking! Before you even settle into your new community, you can begin the networking process via telephone and e-mail. Contact mental health professionals in the area and tap into information about the employment situation there. You may even uncover an opportunity that hasn’t yet been advertised. The American Association of State Counseling Boards has been working on the issue of licensure portability for counselors. On the website, you can learn more about the intricacies of licensure portability, including the many variances from state to state that can sometimes make it difficult to establish licensure when relocating. You can also download an application to add your credentials to the National Credentials Registry. Inclusion in the database will certify your credentials (education and supervision) and safeguard the information for future use. These guidelines should get you moving in the right direction after you determine that relocation is in your future. Moving your personal belongings and establishing Internet service is up to you. What does “dress for success” mean in your office in these days of casual attire? If you have comments that you’d like to share for a future article in “Your Counseling Career,” e-mail Amy Reece Connelly at acacareers@counseling.org. Services. E-mail questions to her at acacareers@counseling.org. Telephone consultation is available to ACA members by appointment. Next month, Colleen Logan will take on a new title as she steps into the leadership queue to become the next president-elect of the American Counseling Association. Logan, a “20-plus”-year member of ACA and one of the founders of the Association for Gay, Lesbian and Bisexual Issues in Counseling, is the associate dean of the College of Psychology and Behavioral Sciences at Argosy University in Washington, D.C. In addition, she was recently named vice president for academic affairs at Argosy University-Dallas. She resides in the Washington metro area with her partner, Deborah, and son Brendan. The couple is expecting the birth of their second child in August. Counseling Today caught up with Logan to learn more about her ambitions for the profession and the association. Counseling Today: What motivated you to run for ACA president? Colleen Logan: I really believe that I have the passion and energy to lead our organization in terms of greater success and professional identity and ultimately greater quality service to those whom we serve. CT: How do you see the organization now, and how do you want it to look after your term? CL: I would like to see our membership increase. I would like to see counselor professional identity grow even stronger and continue to stand head and shoulders with our sister mental health organizations. I would like professional counselors to remain on the forefront when it comes to dealing with trauma across all levels and experiences. ACA’s collaboration with the American Red Cross in response to Hurricane Katrina illustrated that counselors are on the forefront when it comes to helping everyday people with everyday problems during devastating times. I would like to see professional counselors have an even greater impact as well as presence in terms of media and how counselors are making a difference every day in people’s lives. I want to not only increase our membership but also increase the visibility of professional counselors. CT: What’s a current hot topic that interests you? CL: I am very excited that as a result of the combined efforts of ACA and AMHCA (the American Mental Health Counselors Association), professional counselors are now able to provide services to veterans and their significant others. I am also interested in the devastating impact of bullying and the myriad ways professional counselors can intervene and stop the cycle. Hot topics to me include the growth of our organization and what professional counseling really means, what we do for our members and ultimately what our members do to help people. I think we need to continue to find ways to make ACA necessary for our members so that, in turn, we can provide quality, affirmative services to the clients we serve. CT: What inspired you to become a counselor? CL: My father. He was the greatest influence in my life. He was a Presbyterian minister and helped everyone around him. He talked to everyone. He just would listen, hear and connect with people, and I wanted to do that. I wanted to … hear people’s stories and help. CT: Who is the most influential person to you professionally? CL: I would list some of the great pioneers in our field — Courtland Lee has been my mentor, and Patricia Arredondo. I have been very influenced by their writings, leadership and vision. CT: What are you most proud of among your professional achievements? CL: I’m proud of AGLBIC, how it’s grown and how it’s part of the tapestry of ACA. AGLBIC came from the outside to have a seat at the table, and now it’s part of ACA. It was fraught with challenges along the way from a number of sources, but since 1995 it’s grown. CT: Fill in the blank. Colleen Logan was the ACA president who ___________________? CL: Changed the world one person at a time. CT: The next few questions deal with the goals statements you provided when you were running for the office of ACA president. Explain your thoughts on revamping ACA marketing strategies. CL: I think we really need to access someone who is “Hollywood” — someone like a Susan Sarandon, like an Ellen DeGeneres, Oprah. I say that knowing I’m aiming for the top, but it’s those kinds of people who can make it real for those who aren’t in Hollywood. For example, Ellen DeGeneres, right before she hosted the Oscars, was interviewed by Barbara Walters. She talked about how she dealt with her mom’s depression and used laughter. How she was sexually abused and how she had to deal with a very successful career, then to come out and lose it all. The power of her words and the way she’s overcome adversity— those are the kinds of high-profile stories that need to be told. I really believe we need to engage with a high-profile person who gets counseling. CT: You mentioned that ACA needs to align with sister organizations. Why do you feel this is important, and which organizations do you suggest? CL: I think we should continue to strengthen our relationships with our own divisions as well as sister organizations. We can do this by continuing our lobbying efforts with our own divisions and partners. We can continue our working relationships and partnerships with such organizations as the American Psychological Association, the American Association of State Counseling Boards and the National Association of School Psychologists as we bond together to ensure parity and quality mental health services for all. CT: Another one of your goal statements reads, “Promote respect for human dignity and diversity by disseminating our competencies related to multiculturalism, diversity and advocacy.” Could you elaborate on that? Could this be a marketing aspect? CL: I think it is part of who we are and ultimately would be a marketing tool. What I teach my students is that when you walk out of my class, I want you to know one thing, and that is you can sit down with anyone at any time and begin a relationship. That’s what it’s all about — the relationship. That’s the foundation of counseling, so having dignity and respect for everyone is a cornerstone. If we sit down and make a connection with someone no matter their background, experience or story, then I think that’s how we make a difference. CT: You’ve mentioned the need to build a strong sense of professional identity within the field. What are your thoughts on the progression of counselor professional identity? CL: I have a story — I tell a lot of stories. When I first started out as a counselor, I wouldn’t correct people if they said I was a psychologist because it had more prestige. Ultimately, I learned that I am a counselor through and through and I believe in counseling, and that really is the best fit for me. But I think a lot of people still struggle with that — what is a counselor? What does that mean? How are we different? How are we the same? What are the skills that we bring to the table? I think our identity is critically important. I would like to help ACA answer those questions better, across many levels, divisions, organizations, etc. CT: So what’s the next step? CL: Steps have been taken in terms of new strategic thinking over the last year such as the 20/20 Vision for the Future initiative that includes 29 major counseling organizations. I know there’s talk about a signature product. I think that will help. I think we need to spend some time in Counseling Today and on the ACA website talking about professional identity. We’ve talked about it through Listservs, but we need to massage that into a description we can all carry. I don’t know that I have all the answers to it, but I know that it’s missing. I don’t see that pride in counseling, and I want to help grow that. CT: In answering questions posed to the ACA presidential candidates last year, you wrote, “I think the biggest challenge facing ACA is finding ways to creatively meet the needs of our changing membership.” What are your suggestions? CL: We’ve got to get better at connecting with the graduate students. I know we have made great strides in making those connections, such as creation of the Graduate Student Task Force. Already this group is actively participating in the larger organization as evidenced by the booth in Detroit as well as the graduate student-sponsored workshops. We need to continue to find ways to access and mentor the graduate students who are new and are part of our organization. CT: What advice do you have for those just starting their counseling careers? CL: Get involved. By getting involved you learn a lot more about counseling and what issues are on the forefront. The most exciting thing for me when I joined ACA was that I got to go into a room and sit and listen to the people who were on the backs of my textbooks. It was phenomenal. I remember one of my first conferences, and there was Patricia Arredondo speaking, talking — talking to me, a little graduate student from the University of Virginia. She heard my ideas and connected with me and I had just seen her on the back of a book — a book, by the way, that changed my life in terms of multiculturalism and diversity. I later invited her to come talk with my students, and I could see them transform because they were in the presence of someone they had only read about. But now they could talk with that person. CT: What’s been the biggest challenge for you professionally? CL: Wanting to do it all. I mean, I love to practice, I love leadership, organizations, my profession, I love connecting with people — and I want to do it all. I think the challenge for me has been learning to prioritize and make sure I take time to smell the roses, so to speak. To just “be” and enjoy it. It always feels like there is so much to change and so much work to do. That’s been a challenge. CT: What has been the most rewarding experience for you? CL: The birth of my son and watching him grow and thrive. CT: What are your ambitions or goals for the future? CL: What immediately comes to mind is that I want to be a good mom. I want to make a difference — an enormous difference in this world — so that my two children have the opportunity to experience life at its fullest without prejudice. They are part of a unique family, but it’s their family. Q: I have a very limited practice of about five clients per week. I use paper claims for insurance and managed care billing and do not use a computer for any client-related business. Why should I have to be compliant with HIPAA? A: Right now, you don’t have to be HIPAA (Health Insurance Portability and Accountability Act) compliant. However, we feel that is a mistake. The trend in billing insurance and managed care is electronic. Most insurance and managed care companies are encouraging electronic billing but still accept paper CMS 1500. While conversion to only electronic billing won’t begin tomorrow, it is an eventuality. Insurance and managed care companies have stopped accepting handwritten CMS 1500 forms and will do the same with paper claims at some point. Moreover, not being HIPAA compliant sends a message to your clients. Why would the clients’ other health care providers be compliant and not you? HIPAA compliance is not that difficult. All professional organizations offer some assistance. Prepare for tomorrow today. 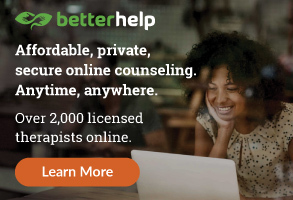 For more HIPAA information, go to the American Counseling Association website at www.counseling.org and click on “Counselors.” From that page, click on “Private Practice Pointers” (a section reserved for ACA members). Q: I am trying different marketing ideas (e.g., mailings, website, physicians, free workshops) to expand my practice. What else should I consider? A: Networking would be an excellent addition to your marketing plan. Successful counselors in private practice are very connected and involved with others in business, other helping professionals, clubs, organizations and societies. You can accomplish this by joining local, state and national organizations. For example, consider joining the local chamber of commerce, the Kiwanis, Toastmasters/Toastmistresses or a similar group. Start or join a practice group of mental health providers. Volunteer to work on a political campaign, a cause close to your heart or on the board of directors of a United Way agency. Join your state professional organization and its appropriate division or professional society and get involved. On the national level, renew your membership with the American Counseling Association and join other national professional organizations related to your private practice. You might consider contributing to political action committees such as the Professional Counseling Fund (counselingfund.org). Try to meet and support local politicians who are favorable to your client population or causes for which you are passionate. While the cost of memberships and donations may seem expensive, think of them as a marketing expense that very well may lead you to new business. This is how we started. In 1997, we became acquainted through our involvement in the Illinois Mental Health Counselors Association and ACA. Getting involved can pay off in many ways. Robert J. Walsh and Norman C. Dasenbrook are coauthors of The Complete Guide to Private Practice for Licensed Mental Health Professionals (www.counseling-privatepractice. com). ACA members can e-mail their questions to walshgasp@aol.com and access a series of “Private Practice Pointers” on the ACA website at www.counseling.org. The Oversight Committee for 20/20: A Vision for the Future of Counseling has announced that the initiative’s delegates have reached consensus on their first 22 items. The delegates will continue to review items they have yet to reach agreement on or discuss in depth, but in the interim, the Oversight Committee is prepared to receive feedback on the current consensus items from the counseling community at large (see “Consensus items,” p. 27). Work groups are focusing on each of the seven major “problem” areas. Each work group has written a report on its respective area and included recommended action steps to address the problem. All the 20/20 delegates began reviewing these action steps at the ACA Convention in Detroit, where they started reaching consensus on items within each area. After discussions have concluded, the 20/20 delegates will provide a document detailing each of the items on which they have reached consensus. Each delegate will then take that document back to their sponsoring organizations and ask them to sign off on it as a way of showing their support for a common vision for the counseling profession. Currently, there is no deadline for the 20/20 delegates to reach consensus or present a final document. “Although we don’t want this to drag on too long, we’d rather do it right than to set specific timelines,” said ACA Chief Professional Officer David Kaplan, a member of the 20/20 Oversight Committee. “Identity — who we are as a profession and what we do — underscores all aspects of our profession. 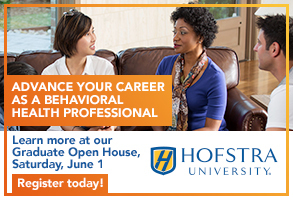 It directs what we do as professional counselors and how we represent ourselves. Identity drives counselor certification, program accreditation, marketing, public relations and public policy issues, and outreach to stakeholders and other similar professions. It is also one of the factors that drives what services and resources the association offers members and potential members. Without a strong sense of our identity, what separates us from other professions? Identity is what makes us distinct, different and unique. “All of the statements on which (the delegates reached consensus in this focus area) relate to the concept that professional counselors share core commonalities. There is a body of knowledge and skill shared by all professional counselors which is, or should be, reflected in our training programs and the accreditation of those programs. This united philosophy should be reinforced for students, who should be encouraged to be members of the professional associations. I believe agreement on these issues is an important step toward strengthening our identity in that they focus on those things that make us the same. “Professions seen by the public and legislators as unified receive stronger support. Counseling has so many groups with separate voices that we need to coalesce with an agenda of consensus. … As in every work group, consensus items (were those that) seemed the least threatening. I believe this is where we must start: with issues that are important and that have universal appeal. We have so much that we inherently agree about that we need to focus in this arena first. “In order for counseling to thrive, we must help the general public and legislators understand what counseling is, who we are, what we do, what our academic preparation is, etc. We have to advocate for ourselves, as no one else is going to. Visibility and perception are key to social acceptance of counseling as a household word and funding support. “I think, in general, consensus was reached (on four items from this work group) because these items reflect the core values that unite us as counselors and promote our profession. These items are aspirational in nature and reflect the mission of the 20/20 effort in general. It is possible that once articulated in more concrete terms, consensus could be harder to reach. “Portability is important for two reasons. First, it makes new graduates seamless in terms of the job market, and, second, it is a reflection of the end product of professional preparation. Unfortunately, everything that is unresolved in counselor preparation standards seems to be reflected in licensing standards. 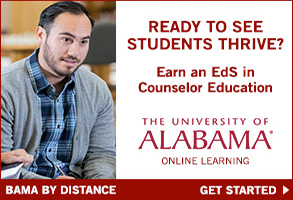 “I am not exactly sure why this item (“Establish common counselor preparation standards”) received consensus. I can only speculate that there is recognition among the delegates that we need to come to more clarity on training if we are to be seen as a separate profession from psychology and social work. I also suspect that since these (20/20 delegates) are people with strong counselor identity … they recognize the value in the CACREP standards envisioned a long time ago. We have studied the history of our profession and are aware of the struggles to achieve licensure. Counseling has such a rich history, and looking at how far it has come, the delegates might see anything else as taking a step backward. “There is strength in numbers as a profession, and I still believe that despite our specialties and different work settings, it is in our collective best interests to be seen as one profession — period. Others may feel differently, so we have work to do. … I know there have been several initiatives like this before, none of which continued through to conclusion and implementation. For various reasons, they ended without achieving the broad objectives. The 20/20 delegates seem to have a different feel as a group, almost a sense that what we are doing transcends our own interests. Many times we have remarked that the stars have lined up at this time in some unusual constellation. It may be our time to address the previously unaddressable. “We believe that research is vital to the counseling profession because research defines the profession. Counseling is a relatively new profession and is evolving constantly. Outcome research is necessary for counseling to continue its evolution. Professional counselors do not need to look to persons in other mental health specialties to define ‘best practices’ for counselors. Counselors need to define best practices for the counseling profession. Research by counselors must be encouraged so that the counseling profession may continue to grow and flourish. 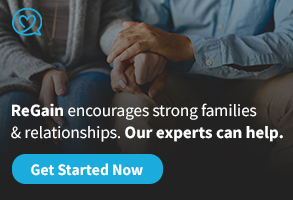 “We were able to reach consensus easily because we all agree that effective research is necessary for the counseling profession to maintain and gain even more credibility. As a profession, counseling is based upon the premises of human development and strength development. The counseling profession is based on a positive growth model instead of a deficit model. As a committee, we agree that counseling research needs to fulfill a two-pronged mission. First, we need to educate the public about what counseling has to offer society as a whole. Second, we need to consistently deliver the message to professional counselors and the public that counseling interventions are effective. We must present a unified professional stance to the public while respecting diversity within the profession. “Client welfare and advocacy is a primary focus of our helping profession. … One particular point (of consensus) that is significant: ‘Encourage evidenced-based, ethical practice as the foundation for counselors in training and professional counselors’ interventions across settings and populations served.’ The significance of this item is ‘evidence-based practice.’ With accountability and outcomes critical in these times, this item is of particular significance.